We live in a multi-tasking world. From the moment I wake up, I'm making plans for the day ahead, reflecting on what I did the day before, and thinking big thoughts while I shower, eat breakfast, and get ready for the day. It seems no matter what my body is doing, my brain is thinking about something else. There is one exception to that: my morning shave. A couple years ago I switched from my canned shaving cream and four-blade cartridge razor to something my grandpa might have used. I lather my face with a brush and bowl of soap. Then I scrape the scruff from my face with a double-edged safety razor. The threat of cutting myself makes it necessary to clear my mind of all other thoughts. I concentrate on gently guiding the razor until I've cleared all the lather from my face. 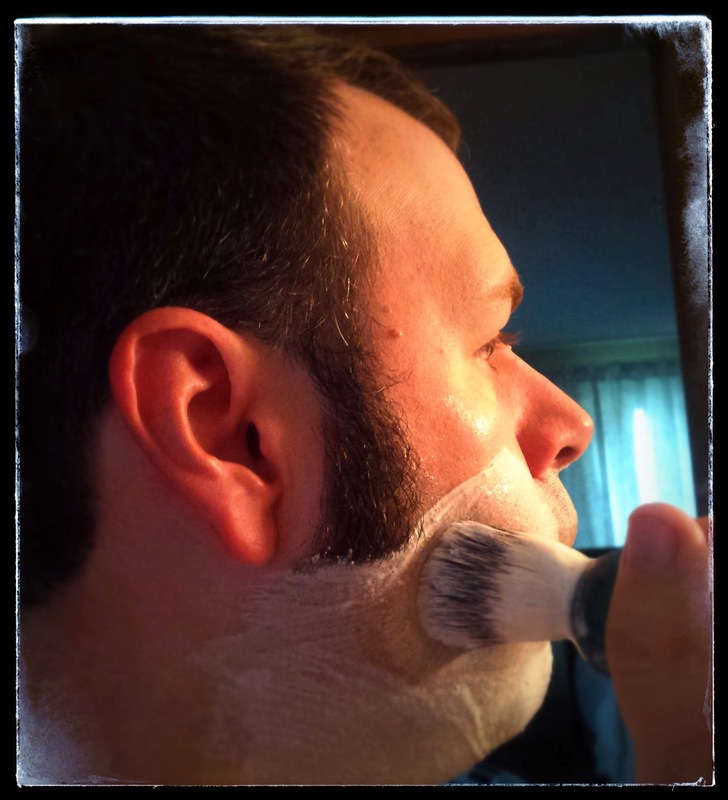 My morning shave is one of the best parts of my morning routine. Those minutes of concentration on a single task are wonderful, and I get a better shave than I ever did with my "high-tech" razor. Progress isn't always progress. So, what does this have to do with my classroom? My morning shave grounds me and prepares me for the day. I don't always bring my regular shaving kit when I travel, and I miss it. In fact, my trip to Edcamp Idaho was one of the rare occasions when I brought everything along. I found that I was more alert, made better decisions, and was more present throughout the day than I am when I take a travel razor and can of shaving cream. My students need something that calms their minds and grounds them, too. A couple years ago, I received a book about the Hawn Foundation's Mind Up program. It's centered around a core practice of having students sit quietly and focus on their breathing to begin class. I bought a chime so I could signal the beginning and end of our focusing time. When I tried it with my students, I started to see results immediately. After a few days practice, having those moments of quiet made such a difference for my kids. They were able to leave stress encountered on their way to school or during their before-school recess time behind so they could focus on what we were doing in class. Students began to ask for the chime before tests or student presentations. If I forgot to ring the chime after recess, someone would always raise a hand to offer a reminder. It became an essential routine for my classroom. In addition to the core practice, I led my students in exercises to improve focus. One time, we listened to all of the sounds in a quiet classroom. Another time I filled cups with different scented objects for students to experience. My favorite was taking time to carefully observe an orange slice candy: considering its appearance, sensing the texture of rough sugar crystals in the hand and on the tongue, and finally biting down and savoring the sweetness. With each activity, I saw students slow down and really pay attention to the world around them. Although I could see a benefit, I wasn't able to give students that type of extended exercise often enough. Still we did our core practice at least twice a day. When our days of standardized testing started after spring break, the chime came with us to the computer lab for each testing session. I still gave a pep talk and reminded students to put in the effort that would result in each individual's best performance, but our core practice became a shortcut to mental preparation. As soon as I rang the chime, I saw many of my students physically change from tense to relaxed. Even the students who had great anxiety about testing would at least take the time to close their eyes and breathe deeply before looking at the screen. 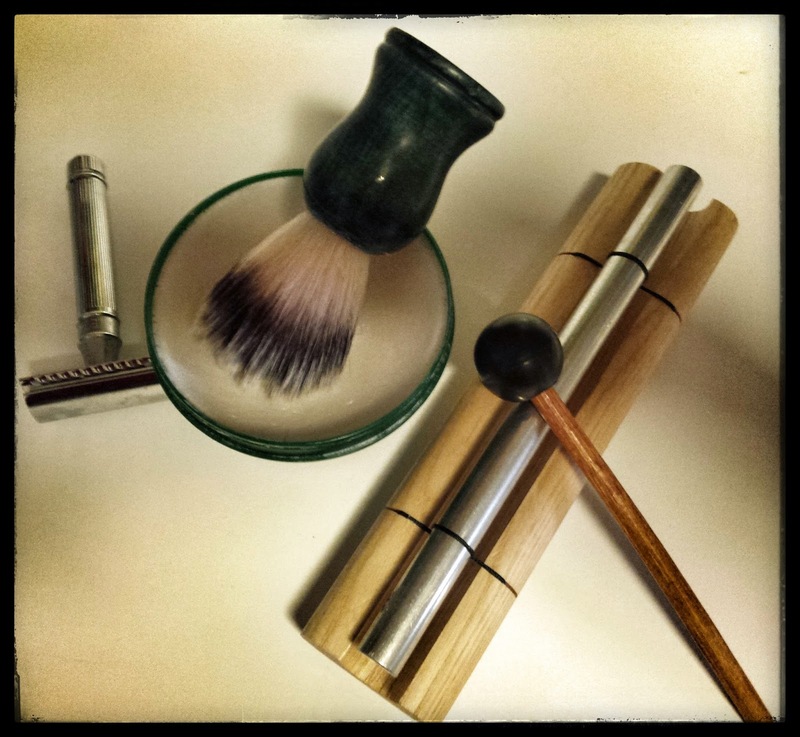 Our core practice served the same purpose my morning shave does: it allowed us to stop and focus on a single thing before facing an endless number of sensory inputs. In addition, I use Montana Natural Shave Company's pre-shave oil (from Missoula's Good Food Store). My back-up razor is a Depression-era Gillette razor found at a junk store. There are many good antique razors available if you're interested in getting started that way. No matter how you go about getting started, it's worth watching a lot of footage and instructional videos before your first attempt. Life moves fast and too often we don't take even just a few minutes to stop, relax, and refocus. You mentioned some great ideas! I'm sure you'll figure out a way to incorporate them into your new routine with your new classes as well. Good luck!